Just Romantic Suspense: I love romantic suspense. I love romantic suspense. Is it any wonder then that I write it? But I didn’t always write romantic suspense. I started off writing contemporary romances, but I realized that a lot of times I was trying to stick in some kind of mystery element in my stories. It was tough to tame the temptation to make them full blown suspense lines in those early contemporary romances I wrote, but eventually it was impossible to hold back. Especially when one day, as I was working on one of those novels, a very intriguing character popped into my head: FBI Agent Diana Reyes. Why a female FBI Agent? Well, my very first contemporary had a female FBI Agent on a case (NOW AND ALWAYS) and readers were very very receptive to her. That stayed with me and had me wondering what if I gave into that urge and really explored what it would be like to be a female agent in such a testosterone-filled agency like the FBI? A few books after that first one, Diana Reyes started talking to me. Or should I say she started screaming at me. She was determined, opinionated and extremely independent. Totally the kind of woman who would take no guff from any man and would not need any man to protect her. So of course, I had to introduce her to someone who had no problems standing up to her and whose basic nature would want to do a lot of protecting: Southern vampire Ryder Latimer. It’s been ten years since that first book with Diana and Ryder and a lot has happened with them through the years, including at least a dozen different suspense stories of both a human and paranormal kind. I just love mixing up genres and I think it helps keeps readers involved and guessing at what the suspense line of the stories in THE REBORN\CALLING would offer up. 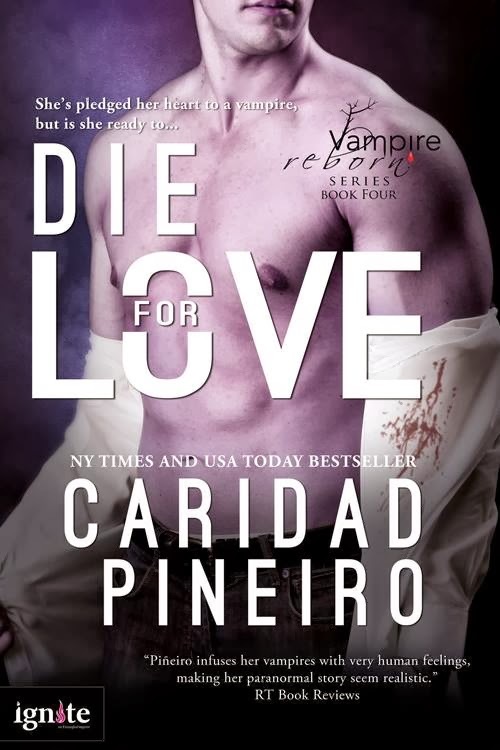 In DIE FOR LOVE, Diana and Ryder are facing a lot of personal issues while also dealing with a threat to two close friends: FBI Assistant Director in Charge Jesus Hernandez and his dhampir lover Michaela Ramirez. It was a challenge to intertwine the stories for the two couples plus the suspense line about Michaela’s psycho vampire father and the crime spree he’s undertaking in New York City. For me, it’s been a long climb to reach this point in THEREBORN\CALLING series, but I’m really looking forward to the future books in the series. I’m looking forward to the action and suspense, the emotion and the romance. I’m looking forward to it because I really love romantic suspense. Thank you so much for taking a moment to come by to find out more about me, my work and why I write romantic suspense. Thank you so much for letting me visit with you today and share why I love Romantic Suspense! I'd love to hear why others love it also.